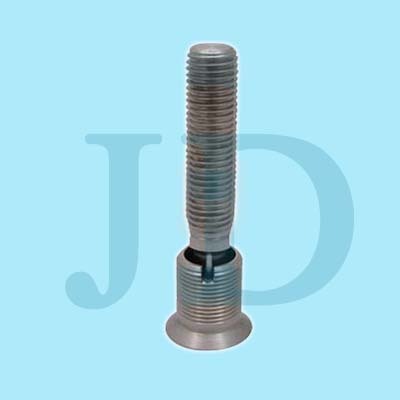 rotational bolt,rotational bolts manufacturer and rotational bolt,rotational bolts supplier--China Ningbo Jingda Hardware Manufacture Co., Ltd.
China Ningbo Jingda Hardware Manufacture Co., Ltd., founded in 1994, is a medium size China manufacturer of precision machining, rotational bolt, rotational bolts and stamping metal parts. Briefly speaking, the capacity of professional production lines and synthetical strength are in leading status in China, moreover, factory sticks to the spirit of "Human based, credit cooperation, customer uppermost, create brilliance" to welcome all the guests from the whole world. Factory insists on the theory of first quality. It such as rotational bolt, rotational bolts adapted all kinds of advanced inspection apparatus or gauges during all the processes,such as TR-200 roughometer, CPJ-300 projector, and HR-150 hardometer.